Tech-savvy customers will love these branded tech sets. Includes an eye-catching Colored Wrist Strap. This Charging Essentials Mobile Power Set are great pocket companion while you’re on the go. Features 2000 mAh Power Bank, Charger Cable Set with Standard USB, 2 Micro USB, Mini USB. Simply plug this charging cable into a powered USB port or USB wall adapter to charge your mobile devices. 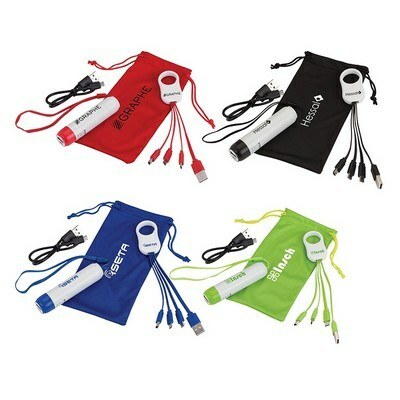 You can easily insert your brand details to create customized giveaways for promotional events.